I got my first tattoo when I was 19. It was before the tattoo craze started, so there were only a couple of places in town to get tattoos. A friend of mine called me up and said “A bunch of us are getting tattoos today, you in?”. Being 19, and having a student loan burning a hole in my pocket, I quickly agreed to go. I didn’t know what I wanted, I just had the idea in my head that if I was getting a tattoo, going through all that pain, I wasn’t going to get something “girly”. So, I picked out a snarling wolf’s head from a book of the artist’s work. Am I happy with it? Not overly. It’s not the greatest quality, and it kind of looks more like an Alaskan Malamute than a wolf, but oh well. It’s on my left shoulder. My next tattoo I got when I was 24…or was it 25?.. I put some thought into this one. My Little Ponies were one of the best parts of my childhood, and at the time I got the tattoo, I was a My Little Pony collector. MLP brought me much happiness. So, a My Little Pony tattoo was not too much of a stretch. 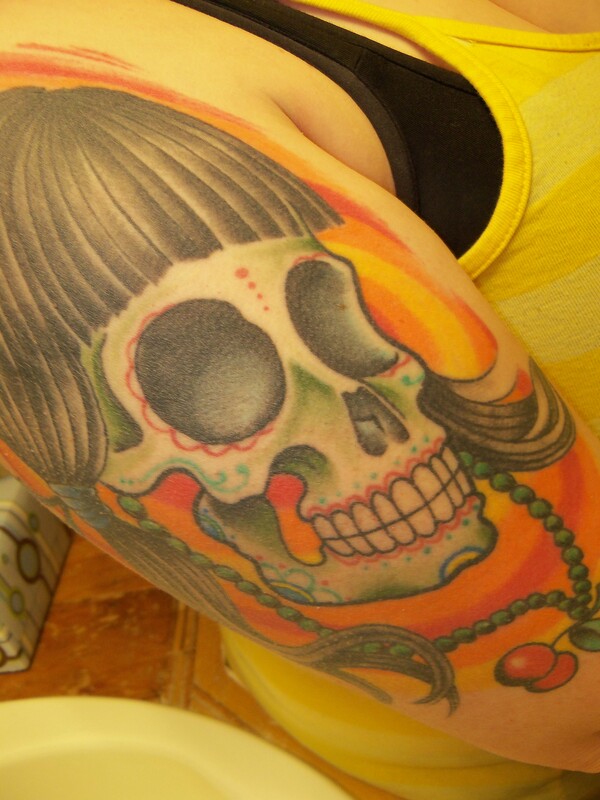 She’s on the inside of my right leg, a couple of inchies above the ankle. 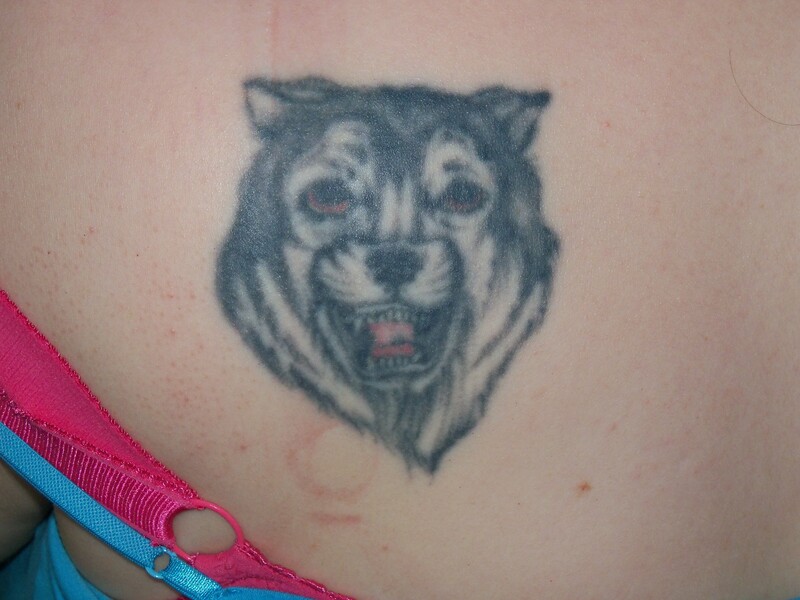 I placed her here because it bugged me that I couldn’t see my other tattoo, so I wanted her where I could see her. I’m not really happy with this tattoo either. It’s not great. The artist really screwed up the eye, MLP have a very distinct eye, and well, this isn’t it. Meh.